Published on 19 February 2014. 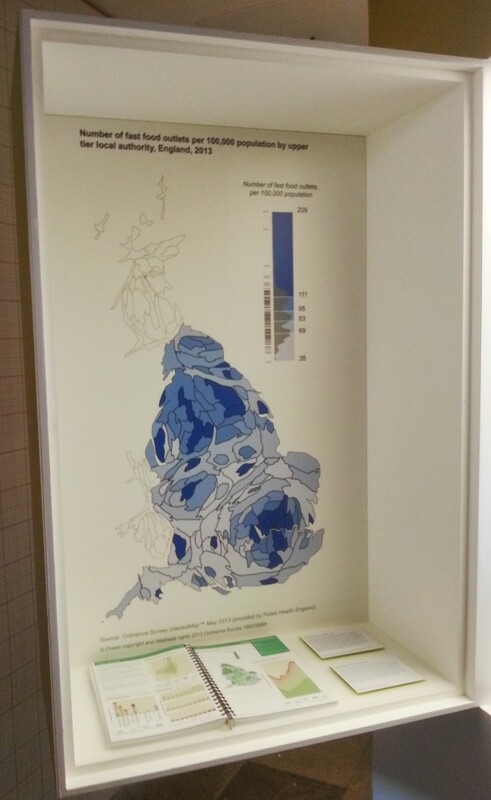 This is a map from the Chief Medical Officer’s forthcoming annual report (which I’m editing), currently on display at the British Library as part of their excellent Beautiful Science exhibition. There’s also a copy of the last annual report beneath the map, ready to be exchanged for the new one when it is published. The exhibition opens tomorrow (though I was lucky enough to get to see it a day early), and runs until 26th May. This 2,159th post was filed under: Photo-a-day 2014, Scrapbook.